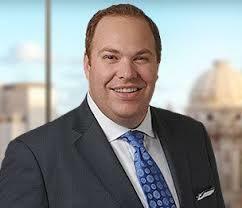 Mark Silverman practices in the areas of business and financial services litigation. Mark’s practice covers a wide range of complex commercial litigation, lender’s liability defense, banking, fraudulent conveyance and general fraud litigation, class action litigation, contract disputes, commercial foreclosures, commercial real estate transactions, post-judgment collections proceedings, and general business disputes. Mark represents banks, credit unions, large CMBS special servicers, purchasers of non-performing commercial real estate and C&I loans and investors in loan enforcement litigation and commercial foreclosure actions. Get our latest deals and recent bankruptcy content delivered to your inbox weekly. Always free. Never spam.